A true “home theater” is a room that its sole purpose of existence is to please visually and acoustically. A room like this has been designed to have a fixed placement of seating and speakers. 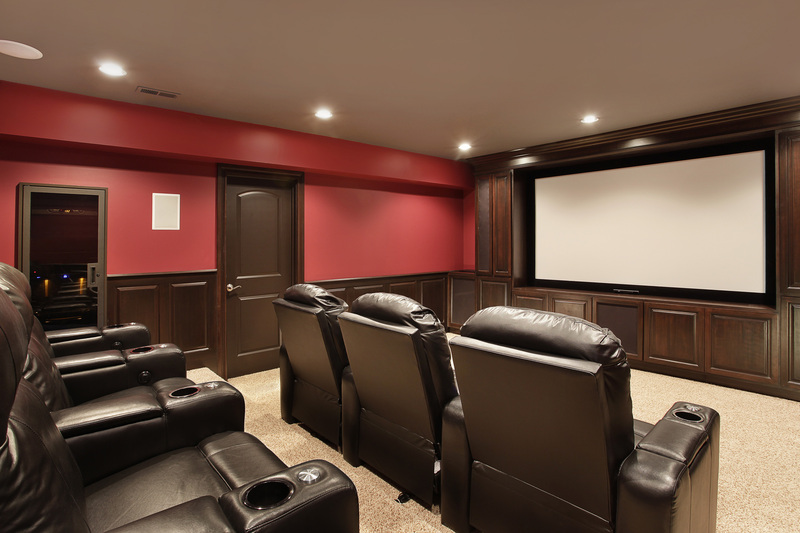 A home theater system in your den does not need to be as elaborate and refined as a dedicated home theater room. Since the layout of seating and acoustics is not fixed it is crucial that extra consideration is taken in speaker placement, as well as seating arrangement. Home Theater Solutions understands the different applications throughout your home and this is why we design every home theater system independently and not one of them is the same. In any application the fundamentals stay the same. Speaker placement has to be implemented carefully and the speakers must blend with the room décor. Room acoustics also have to be taken into consideration for the final result to be a success.